NEW PRICE - You will be impressed with this recently renovated 4 bedroom home with bonus mortgage helper, which is cheaper to own then rent! The main level features bright kitchen with beautiful tile back splash, large living room and separate dining. Master bedroom has walk through closet and 2 piece ensuite and 2 more good size bedrooms. You will love the downstairs which features the perfect 1 bedroom + den mortgage helper with separate entrance that could easily pay for 42% of your mortgage! 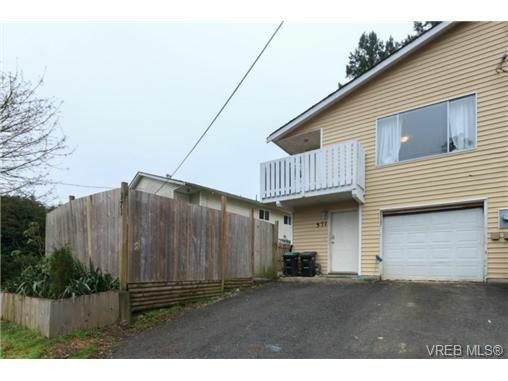 This wonderful home offers new laminate floors, freshly painted, large attached garage & low maintenance backyard. Convenient View Royal location, close to bus, shopping, Galloping Goose Trail & Thetis Lake Park and is only 20 minutes to downtown.